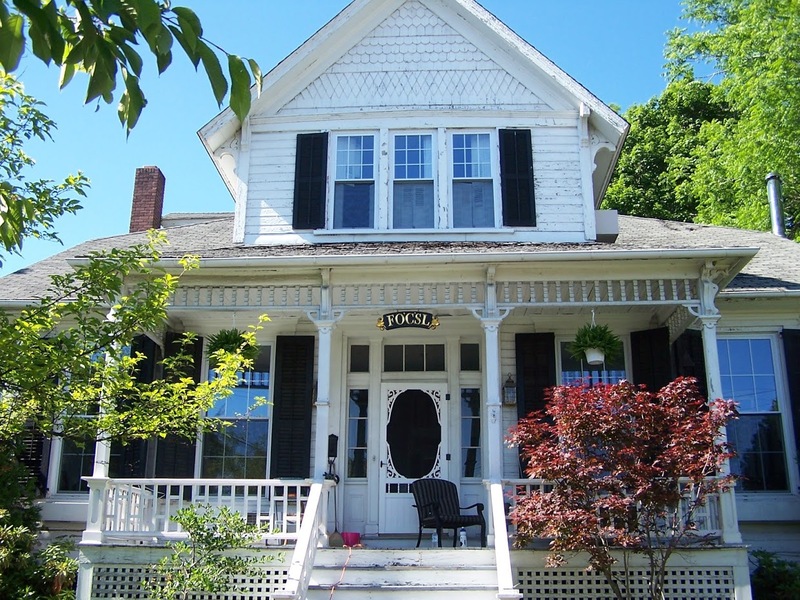 Little did my wife and I know that as we were purchasing the old Heart of Somerset Bed & Breakfast, that one day it would be functioning again as a place to welcome guests – via modern technology. We first toured our home in 2005. At that time, it had stood vacant for a number of years. Last used as a residence/office of a psychiatrist, we found the hollow rooms echoing with a lifelessness that had been reflected in the drab colors with which it had been painted. The psychiatrist had purchased the home from the previous owners, who had operated the house as a bed and breakfast. But, there was little evidence revealing how the home had at one time been a stopover for travelers. The exterior was in desperate need of a paint job, the roof needed replaced, the single-paned windows leaked heat, and the front and rear yards had been overtaken with wild vegetation. I will admit that long before I spied its potential, my wife had been able to foresee its charm. I wanted to keep looking; she wanted to move in. When we purchased the house, we had been unaware of its rich history. Built sometime around 1835, the home stood on a plot of ground once owned by one of Somerset’s original framers, Adam Schneider. It was then sold to John Snyder, who was an uptown druggist. His family held the home for over 100 years. During its early years, the uptown section of Somerset suffered three great fires. Our home had been spared from each of these disasters, making it now the oldest standing structure still used as a residence in the borough. 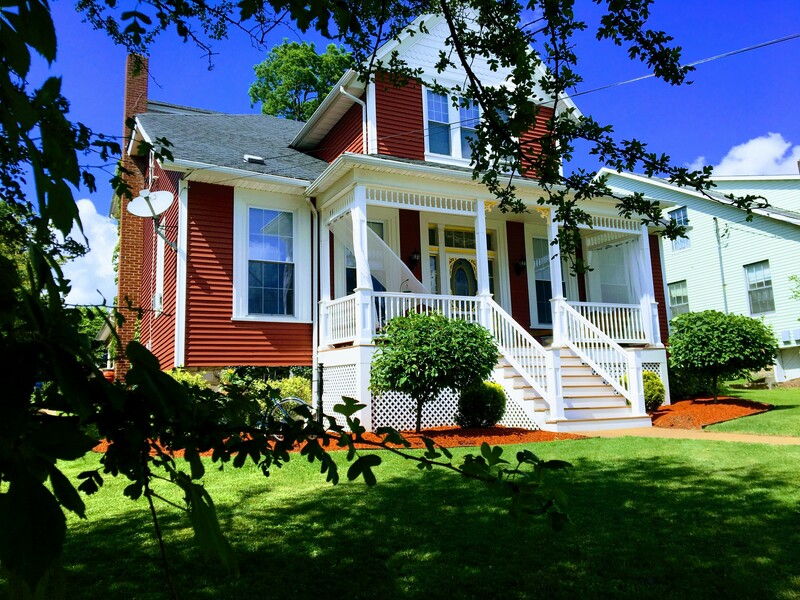 Before its last owner, our home had been reconfigured to operate as a bed & breakfast. 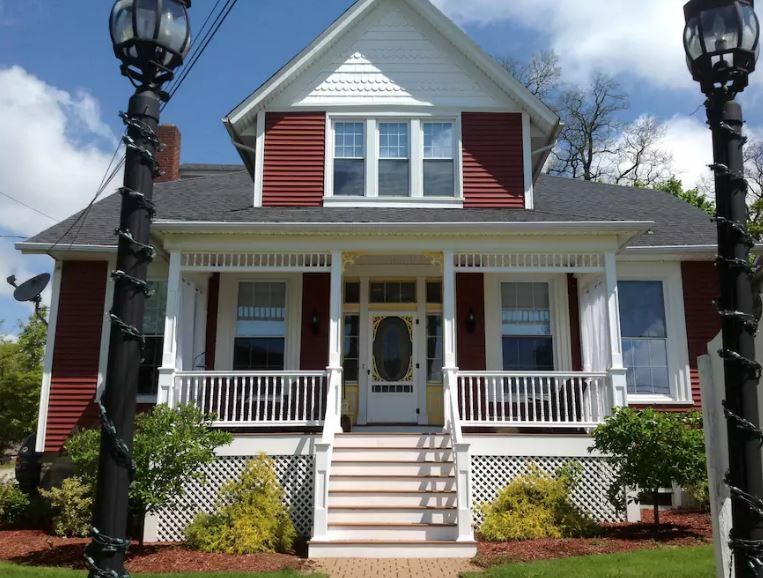 It’s six bedrooms and 5 1/2 baths appealed to us as the perfect place for our blended family. So, we purchased the house and began the immensely tiring job of sanding, painting, repairing , replacing, and even demolition. Second floor dormers and a modern kitchen were added in 2008. Outside, we landscaped, built retaining walls, sided the home, and removed tree after tree to clear the property. Slowly, the face of the new property began to awaken with a sense of noble purpose. Life was breathed back into it again. As our children entered their teen years, we began to host foreign exchange students, who took up vacant bedrooms. Eventually others, who temporarily needed a place to call home for various reasons, moved in and then out. View the time-lapse video of the reconstruction of our current living room. Then, as our children moved on to college, the halls of our home quieted again. Unsettled by the vacancy, an idea emerged to take in guests once again, and fill the bedrooms and living space with the everyday sounds of life. In January 2016, we opened our first bedroom to guests through Airbnb. The second bedroom became operational in August, and later that same month we went live with our third room. Because of our busy schedules, we cannot offer breakfasts to our guests. However, there are many fine dining places close by. Airbnb.com is a popular website that allows travelers to stay in the homes of hosts across the world. Amenities are different in every place. Guests leave reviews about the places they have visited, and hosts write reviews for the guests who have stayed with them. We have enjoyed meeting the many guests who have stayed with us, and have been overwhelmed with the favorable reviews that have been left. If you are passing through the Somerset area and are looking for a place to lodge; why not consider staying with us? Follow the links below to explore each room and book your stay with us. We would love to host you!